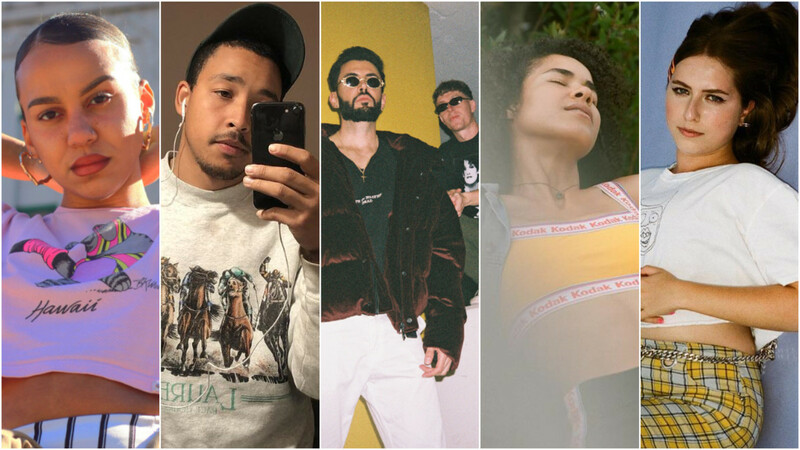 DJBooth brings you five must-hear, emerging R&B artists. 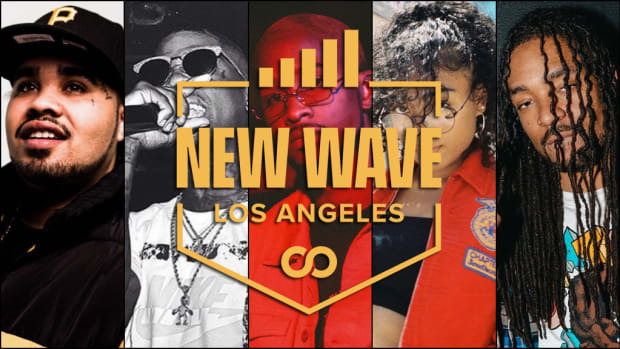 For as long as I’ve been listening to music, R&B has occupied an odd space within the cultural landscape. Turn the dial slightly to the left and it becomes hip-hop. Turn the dial slightly to the right and it becomes pop. Throw it over bouncy percussion: house music; strip back the production: soul; talk about God: gospel. You get the point. Much like a liquid that takes the form of any container it’s poured in, R&B is amorphous, widening and narrowing its scope to remain relevant at all times, yet rarely the primary focus of our attentions. In some ways, this is as true now as it’s ever been. Future makes entire R&B albums like HNDRXX, yet he’s classified primarily as a rapper. Ariana Grande’s albums are filled with unmistakeable R&B, yet she’s regarded as a pop star. It’s silly to get hung up on meaningless genre distinctions, but in an era when nearly every rapper sings, and nearly every singer borrows R&B phrasing, it’s a bit unfair that the genre is so infrequently recognized for its outsized influence. Fortunately, it seems like things are finally starting to come full circle. 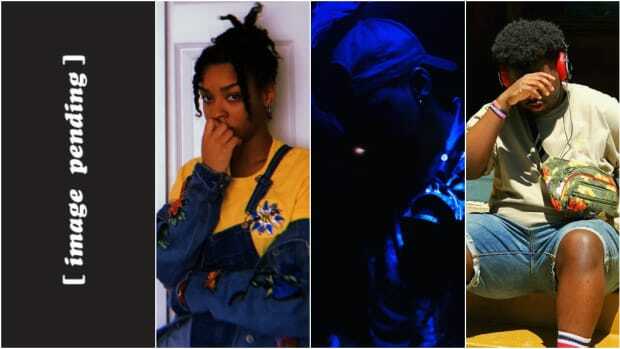 SZA’s CTRL was universally beloved, Frank Ocean is among the most acclaimed artists of his generation, H.E.R recently notched an unlikely GRAMMY nod for album of the year, and the end of 2018 was marked by a spirited if slightly tongue-in-cheek online debate about who the “King of R&B” is. It’s not entirely accurate to say R&B is experiencing a resurgence—because it never really went anywhere—but indicators like this suggest an overdue return towards proportionately acknowledging its cultural impact. Meanwhile, music exists along a continuum, and just as R&B has influenced so many other genres, these genres have in turn influenced R&B, creating a fertile breeding ground for experimentation. 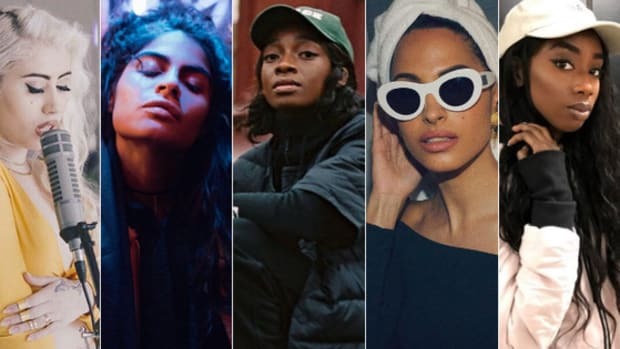 So, while R&B is recapturing its rightful place in the mainstream, it’s also thriving on the fringe corners of the internet where young artists push boundaries, carve out communities of admirers, and aspire to stardom. Plunging these nooks of the internet is tedious work. Algorithms can cover some of the ground for you, but to satisfactorily identify the gems among the unremarkable, separate the inspired from the derivative, and crown the successful innovations among the failed experiments requires a personal touch. That’s where this column comes in. 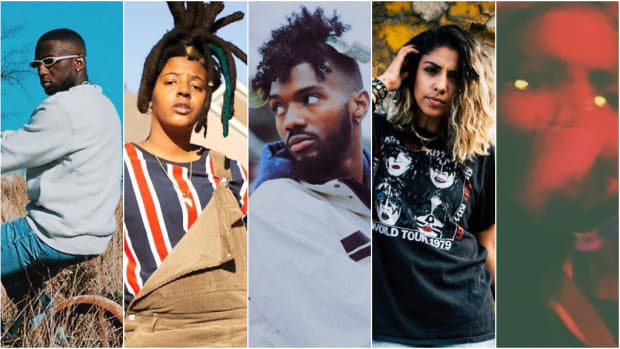 Each month, I’ll wade through the streaming black hole on your behalf to recommend five emerging artists who’re making some of the most exciting R&B music (broadly defined) that you need to have on your radar going forward. A lot of people can carry a tune, but the intangible X-factor that separates an impressive karaoke performer from a truly great singer is a unique vocal tone. There is no shortage of technically proficient singers who can perform passable renditions of Lauryn Hill’s music, but without the aid of her gentle rasp, these covers nearly always leave something to be desired. Fittingly, Lauryn Hill is one of the artists London-based singer, Pip Millett cites frequently as a primary influence. With a buttery voice that resembles a cross between the aforementioned Hill’s and Amy Winehouse’s, Millet’s greatest strength is her ability to harness this natural gift to make timeless music. Not content to coast on her voice alone, Millett bolsters this gift with a knack for emotionally resonant songwriting, which she employs to great effect to structure songs around vulnerable lyricism, pretty melodies, and winning hooks. Though the majority of her music’s instrumentation resembles the production featured on “Love The Things You Do”—pared back and organic—she displays a pleasantly surprising range on “Get To Know You,” a collaboration with the Danish producer, Moods, which suggests that she’s equally comfortable displaying her talents over electronic production. 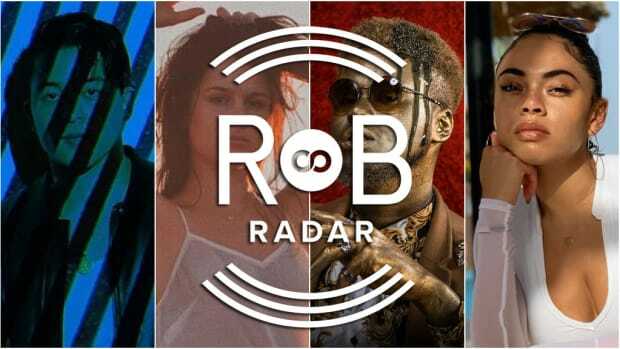 Although she has yet to release a full project, her impressive catalog of singles has been bubbling in the right circles for the better part of a year, attracting the attention of Complex, Earmilk, as well as several prominent UK-based publications. Provided she continues on her current trajectory, 2019 is poised to be her breakout year. Given that he’s been releasing music as part of the well-publicized duo Abhi//dijon since 2014, it is perhaps inaccurate to lump dijon in with the other emerging artists on this list. Yet, whereas the music he released alongside his former producer, Abhi Raju, was warmly received and hinted at further promise, his foray into solo work since 2017 has been a revelation, unveiling the subsequent manifestation of his unseen potential. Over the course of the five solo singles he’s released to date, dijon has done away with the spacey production which characterized his previous output, refocusing around a guitar-driven approach which seems to better serve his artistry. In contrast to Abhi’s hazy aesthetic, which occasionally had the effect of burying the tenderness of dijon’s singing voice, the sonic consistency of his more recent output truly allows listeners to appreciate his endearing timbre, giving his music an emotional appeal it lacked in the past. Meanwhile, this acoustic instrumentation allows dijon to wear his folk influences on his sleeve, showcasing his clear appreciation for the genre, which he draws from heavily to create a folk/R&B hybrid that is quite unlike any other music being released today. His lyrics, sometimes personal and sometimes abstract, probe meaningful themes and weave miniature narratives, positioning him alongside a long tradition of heady songwriters who’ve channeled their inspiration over folk colored canvasses. If the new crop of admirers he’s collected over the past year is any indication, dijon’s new direction seems to be resonating with listeners, suggesting that he may soon reach critical mass. Following the success of Bruno Mars’ most recent album, 24K Magic, it’s mildly surprising that more artists haven’t picked up the baton where he left it and resumed his efforts to repopularize the sounds of new jack swing. One such duo that has seized this opportunity is the Australian-based, CVIRO & GXNXVS, who’ve admittedly been releasing 90s-flavored R&B since before the success of “Finesse,” but just recently put out an entire new jack swing EP chock-full of grooves that would make Teddy Riley proud. Of course, some skepticism is warranted here. Reading this, you might be tempted to assume the duo’s music is mired by the trappings of nostalgia, but fortunately, the pair manages to sidestep this concern by inserting the new jack swing sound into a contemporary context, updating it with the use of modern instrumentation and digital engineering techniques. In this respect, much of the credit goes to duo’s producer half, GXNXVS, whose lead melodies feel as fresh as the arrangements do authentic, and whose inspired vocal mixing more than compensates for CVIRO’s relatively limited vocal range and uninspired lyrics. That said, the benefit of dance music is that the lyrics can afford to play second fiddle to the overall songwriting, which is where CVIRO shines, demonstrating an effortless understanding of song structure and an intuitive feel for crafting earworms. 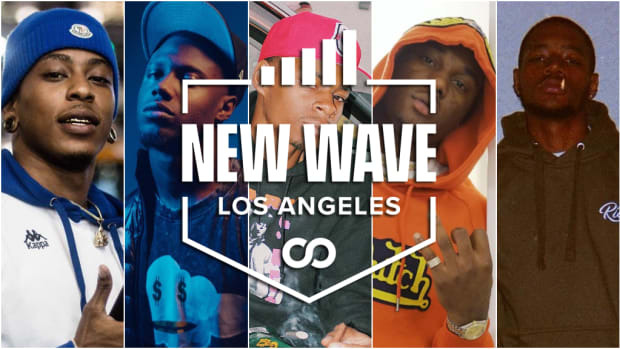 Although the pair’s aforementioned EP, Now You Know, hasn’t quite built the same level of steam as the duo’s previous singles, it will only be a matter of time before CVIRO & GXNXVS are able to harness the winning formula it showcases to make waves online and carve out a dedicated following. Somewhat lost in the shuffle, partly due to her untimely passing, and partly due to her music’s current inaccessibility on streaming services, is the extent to which Aaliyah’s influence hangs over modern R&B. Over the course of her final two albums, Aaliyah charted a path that so many artists have shadowed in the subsequent years, becoming the very archetype of an R&B singer that seamlessly bridged the gap between vulnerability and bravado, using her delicate falsetto not just as a tool to convey emotion or sensuality, but also to express her agency. Granted, this doesn’t seem particularly ground-breaking today, but if you could transport yourself back to the late ‘90s, you’d be able to appreciate just how vital this transition was. Situated directly along this lineage is Malia, a Los Angeles-based artist, whose music appears to be directly influenced by this shift. Still, if the comparison to Aaliyah is a bit overblown, then perhaps Syd is a more relevant analogy. Given that Malia was chosen to be the supporting act on Syd’s “Always Never Home” tour last year, it’s clear that I’m not the only one who notices these similarities. Beyond sharing a tour bill, the two appear to share a musical ethos more generally, employing comparable vocal textures and ears for production to craft sweet-sounding, throwback R&B. Their collaboration, “Dirty Laundry,” released over a year ago on Malia’s EP, Late Bloomer, is proof of this musical kinship, serving as a testament to the pair’s effortless chemistry. Although Malia has been releasing music on SoundCloud for over five years now, Late Bloomer is a bit of a departure for her, marking a shift away from the earthy acoustics of her previous projects to a more full-bodied sound. A logical step in her evolution as an artist, it’s a project that taps into a ‘90s-inspired aesthetic that is so heavily sought-after these days, featuring pretty vocal runs and raunchy lyrics that, against all odds, manage to sound innocent. If you’re looking for something that will harken you back to the days of choreographed music videos filmed in the rain, you won’t be disappointed. If you scoured as many year-end lists as I did towards the end of 2018, you would have noticed how heavily female-driven indie rock figured into publications’ rankings of the year’s best output. Albums by Soccer Mommy and Snail Mail were both regular fixtures of critics’ top 50 albums of the year, with the latter of these two frequently cracking the top 10. Following in this vein is Lila Drew, a young artist whose music recalls these albums in a lot of ways, but for the fact that she meshes her indie rock appeal with pop-leaning R&B to create something truly unique. With just two songs available to stream at the moment, Lila Drew is seemingly gearing up for a grand entrance in 2019. The first of these songs, “faded/2am” featuring GoldLink, is an unassuming jam that draws you in as the song unravels, scanning initially as standard-fare indie rock before unveiling the dynamic nature of Drew’s vocal tone and her flair for crafting catchy melodies. The second of these songs, “november,” is more immediately recognizable as R&B, though it retains the D.I.Y. sensibilities of an indie rock song, making it easy to imagine an alternate version scored by a physical drum kit and fuzzy guitars. Common across these two songs is Drew’s lyrical specificity, as well as her clear talent for writing memorable hooks. Two songs is not a large enough sample size to make a definitive call, but if she’s able to apply these skills consistently across an entire project, it’s entirely possible that hers is a name that we’ll be hearing for a long time. 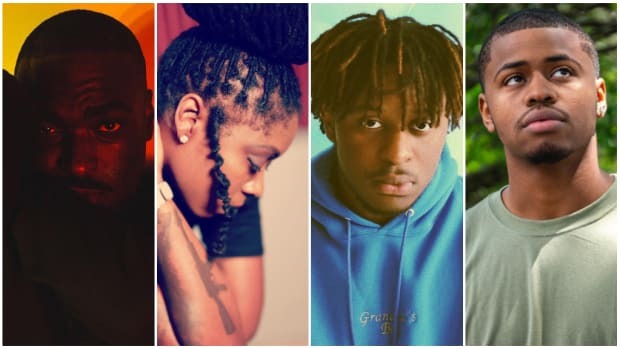 For February 2019, here are five more emerging R&B acts that require your attention.